Margarita Meltdown comes to the Bishop Arts area on Sunday, May 27th. At the 2012 Dallas Margarita Meltdown Dallas restaurants bring contenders together who mix their best margarita and offer samples to the public. It’s $25 to get in, and part of the proceeds will benefit La Voz del Anciano (The Voice of the Elderly), which is a local non-profit that has made it their goal to serve the needs of the elderly Latino population. The 2nd Annual Dallas Margarita Fest gives locals the opportunity to sample a margarita from each DFW restaurant and vote for his or her favorite “Rita” mix. In addition to great drinks one can expect street food and live DJ’s providing pumping music while strolling through Bishop Arts of Oak Cliff. On Sunday, May 27th find out who will be titled “The Best Margarita in Dallas”; or better yet, you be the judge! It may be election year, but senators and political leaders aren’t the only thing we’re voting for! 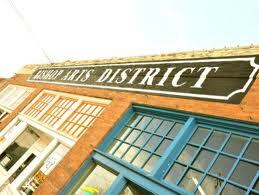 The festival will take place from 3pm to 10pmin the historic Bishop Arts District between 7th and 8th street. What better place to have a margarita fest than in this most eclectic part of town? Hacienda on Henderson, Mesa, Veracruz Café, Smoke, Nova, El Ranchito, La Calle Dolce, Sfuzzi and more!